I’m back! Yes! so thrilled to be back after two weeks of holiday in New Zealand. It is one of the beautiful country I have seen. I travel a lot. The landscapes are amazing and people are so warm and welcoming. We flew, drove, took the train, the coach, rode bicycles, segway, cruised, walked admiring and enjoying the beauty of the country. I will post some photos from the trip soon here. I got back into the routine of making cards after two weeks. It was hard to get back into crafting after such a long break. The drive is there but creativity does not flow as it normally would. But nothing like getting some new goodies in the mail. They always bring back the creativity. I received some new release Valentine Stamps and dies from Penny Black. The stamp sets are so cute especially the Mimi’s collection. The dies are super adorable. 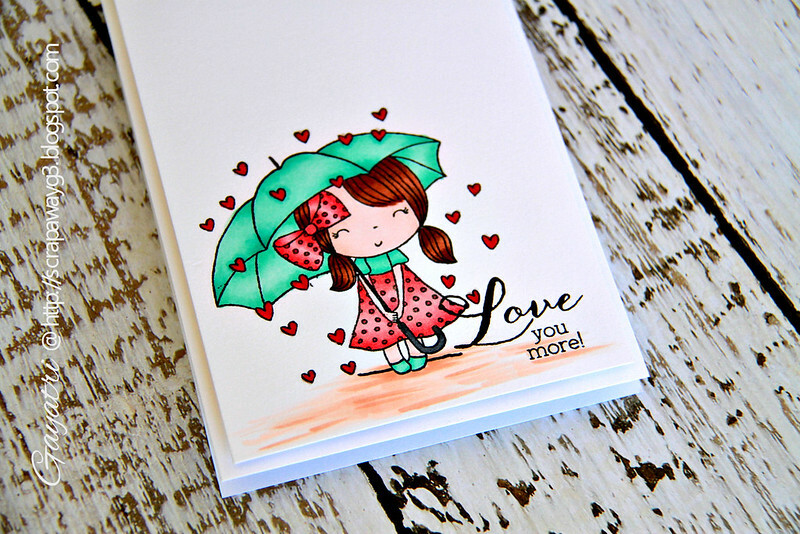 I have a card today using Mimi’s Love and So Very Much stamp sets from Penny Black. I wanted to colour the Mimi images as soon as I saw them. So on my card here, I stamped and coloured one of the image from the stamp set using copic markers. Then stamped the sentiment. I let the colour image be the star of the show. After colouring, I added glossy accents on those tiny red hearts to give them some dimension. How you can see it on the picture below. 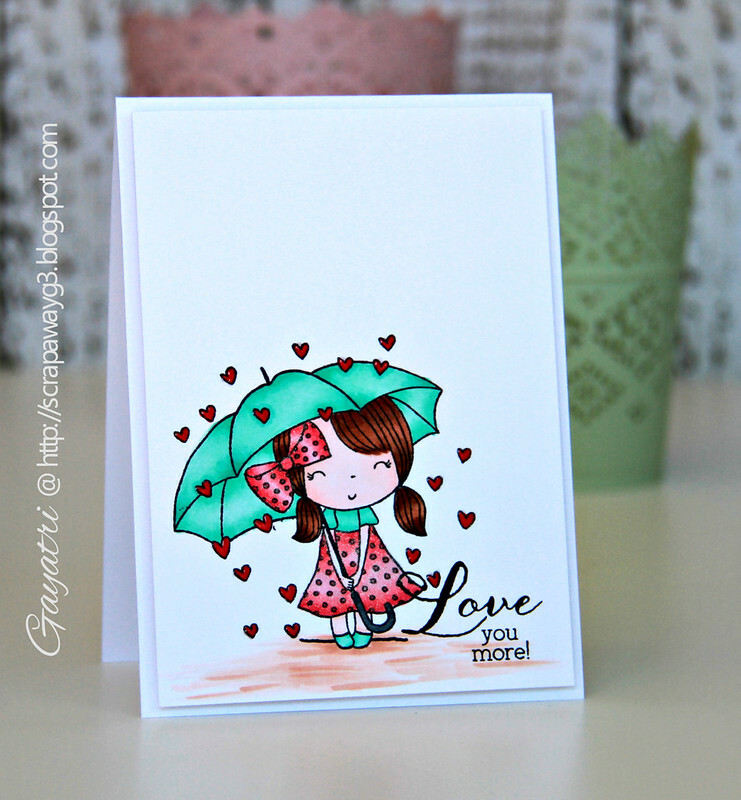 Have you seen the Valentine Penny Black release? They are awesome and adorable. There are ten dies and six stamp sets released. 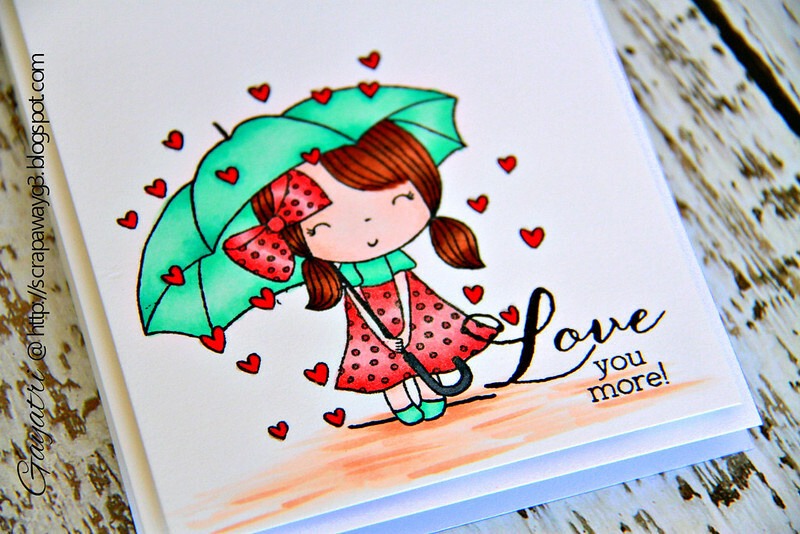 I will be sharing more cards using the Penny Black Valentine release on my blog this month. Here is the link to Penny Black shop if you like to have a looksy! so cute Gayatri. Beautifully coloured. Glad you had a great trip to my part of the world. Welcome back Gayatri! Love these cute cards! What a cutie pie! Looking forward to seeing gorgeous pics from your travel to New Zealand-Wow! Welcome Home! Adorable, Gayatri! The red and aqua are so cheerful and I love these images!! What a darling image, this is so sweet Gayatri! Such a darling card, Gayatri, and beautifully colored, too! So glad you had such fun on your wonderful trip! Welcome back, Gayatri! Cute little card. So happy to hear you had a great trip. I enjoyed seeing the photos you posted on FB. Thanks for sharing! She looks so cheerful! Cute CAS card. Love the bright cheery colors! Mimi is the star of this card!! Too cute! Love what you did with Mimi paired with such a sweet sentiment!! So sweet & perfectly colored. Oh my word! How precious!!! !